The following four programs reflect our belief in promoting the construction industry through programs for young people. The 2019 event will be held on Saturday, January 26, 2019 at the East Library and Information Center. Click on the links below for more information or contact Block Kids Chair Naomi Kidd at NRKidd4PPC356@outlook.com. Our chapter partners with area high schools to host a CAD/Hand-Drafting competition. Contact Berni Mount for more information. Join us at Construction Career Days of Southern Colorado in September started and sponsored by our chapter. This is a day for older high school students to try various aspects of constructions in an engaging, hands-on way. For more information, click on the link below. Congratulations to the 2017 NAWIC Pikes Peak Chapter 356 Scholarship Recipient, Ms. Madelyn Caviness! You can find additional information on the national NAWIC website by clicking on this link: https://www.nawic.org/nawic/NFSFScholarships.asp. 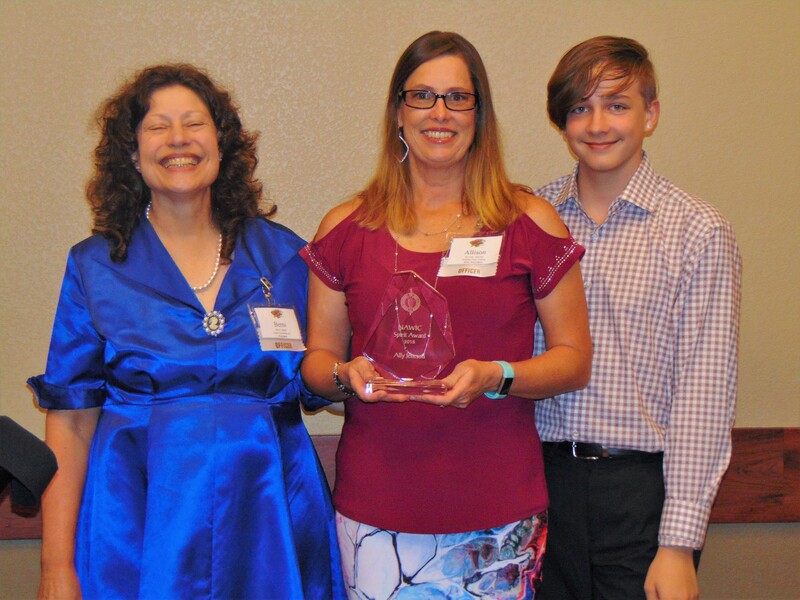 The NAWIC Spirit Award recognizes the contributions of a chapter member for her participation in chapter activities, as well as the positive character attributes that she brings to everything she does. You can download a copy of the nomination form. Forms are to be submitted to the Spirit Award Committee no later than August 1st. Please check the award eligibility requirements below. Congratulations to Chapter 356 member Ally Jencson on being awarded the 2018 NAWIC Spirit Award. The award was presented at the September Board Installation by President Berni Mount. In the fall of 2002, on the way to Annual Fall Planning in El Paso, three members of Chapter 356, Dodi Walch, Connie Stevenson and Diane (Watson) Zink, felt the need to recognize a special member of the chapter, and any future outstanding member, for her unique, and previously unrecognized contributions and kind spirit. The idea of a special award – the NAWIC Spirit Award – was born. The Spirit Award Committee shall consist of the President, Vice President, President-Elect and the previous two recipients of the NAWIC Spirit Award. The committee shall elect its own chairperson. Anyone who has been a member of NAWIC Chapter 356 in good standing for at least one year (includes all member categories). Past recipients must wait two years before being eligible for another award. If a member of the committee is nominated and more than one nomination is received, a secret ballot will be taken to determine the winner. Forms shall be made available to the General Membership for input to the committee. Forms are due no later than August 1st of each year. The committee shall decide on the recipient of the award no later than September 1st, and shall be responsible for ordering the award. No committee deliberations shall be discussed outside the committee meetings and the name of the recipient shall remain known only to the committee until the award presentation. The award will be presented at the September General Membership Meeting. The committee shall review the forms and committee guidelines every year and make recommendations to the Board of Directors for changes needed. The Build It Up sponsorship program is a way for NAWIC Chapter #356 to increase its revenue, while at the same time developing relationships with other organizations and corporations in our community. Our hope is that through the sponsorship program, we can fund the important service and education projects designed to reach out to people in need of and deserving of our support. NAWIC exists to enhance the success of women in the construction industry. We live by a strong set of Core Values. Our strength is built through our commitment to make the construction industry a better place to work. 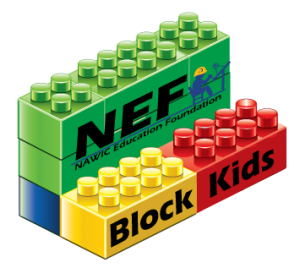 We believe that involvement in our communities through construction industry projects and NAWIC Education Foundation programs strengthen the entire industry. To support these and other programs, we need the help of our Build It Up partners. We want them to encourage the women in their companies to join our organization and we want their financial contributions. We offer several levels of sponsorship (see table below) which will be renewable each year on the anniversary date when the money is received. With all the levels of sponsorship, the company receives recognition in our monthly newsletter, The Centerline, and at our monthly dinner meetings. Sponsors are also recognized at every community project we participate in. In addition, they can link their website to both our chapter website and the NAWIC Pacific Southwest Region website. With a Build It Up PLATINUM sponsorship, the company receives one free annual corporate membership in NAWIC. All business sponsorships qualify as a business tax deduction. If you are interested in becoming a Build It Up sponsor, click here for a sponsorship form. Mail the completed form to NAWIC Pikes Peak Chapter #356, PO Box 7455, Colorado Springs, CO 80933. Checks should be made out to NAWIC Chapter 356. If you have any questions, contact President Valerie Bates at ValeriePP356@outlook.com. Thank you. Current Build It Up sponsors are listed on the Welcome page.